Kinokuniya is giving away a full-size bottle of either OPI Nail Strengthener or Ridge Filler with the new October issue of Beautymap (S$2.50). 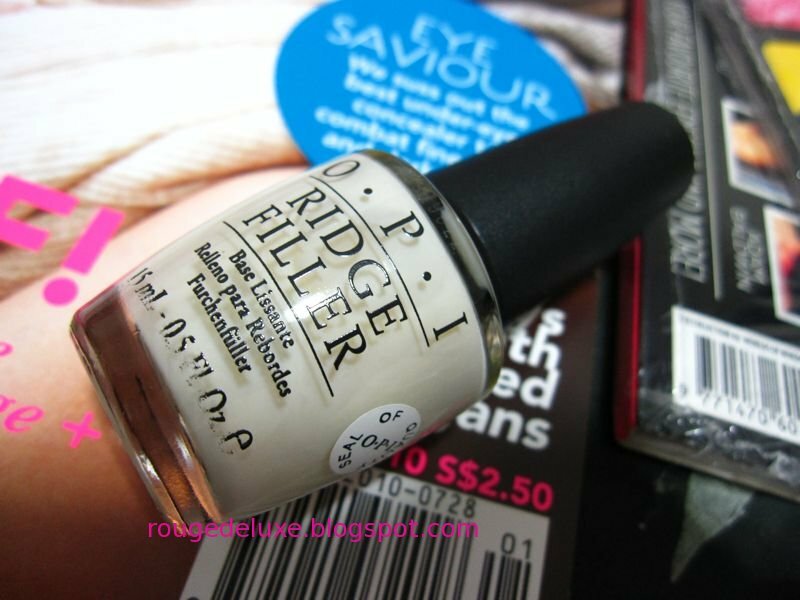 The OPI products have a retail value of S$22.50 each. When I purchased my copy at the Ngee Ann City store earlier this evening, they only had the Ridge Filler. The promotion is on at all three Kinokunya bookstores and just started today. Each customer can only receive a maximum of two free gifts. 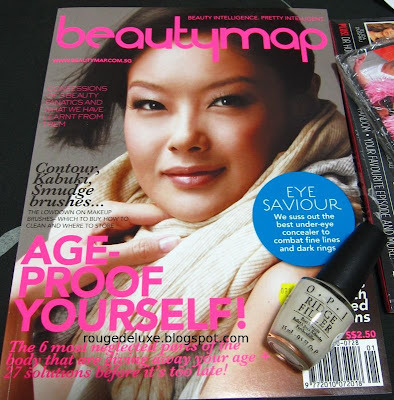 I had a quick flip through the 62-page magazine and it looks like quite a good read with a wide variety of articles and features on the latest beauty products. The makeup for the magazine cover is by Larry Yeo. For the latest news on promotions at Kinokuniya, do check out http://kinokuniyapromotions.blogspot.com/. It's a base coat to help smoothen out the nail. It's really a matter of personal preference, you can use them individually or together. The ridge filler is more of a base coat. I'm so proud of her! Well.... she was my senior in secondary school. HA!